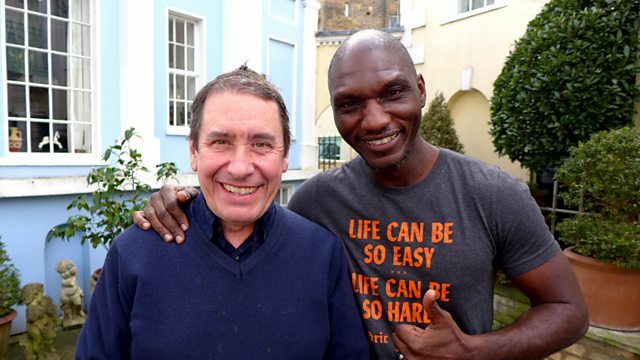 BBC Radio 2 - Jools Holland, Cedric Burnside guests. Jools' guest is Grammy nominated singer Cedric Burnside - grandson of blues legend R.L. Burnside - who plays one of his grandfather's most famous songs with the band. The Grammy nominated bluesman Cedric Burnside joins Jools and the band, singing live and picking some of his favourite records. Cedric - whose most recent CD "Benton County Relic" was nominated as Best Blues Album at the 2019 Grammy Awards - is steeped in blues heritage. His grandfather was the legendary R.L. Burnside, one of the architects of North Mississippi style of blues, and from the age of 12 Cedric played drums in his band. Throw Out The Lifeline. The Sallie Martin Singers/Cora Martin. I Can't Be Satisfied / I Feel Like Going Home. You Better Run : The Essential Junior Kimbrough.